The mission of the Boy Scouts of America is to prepare young people to make ethical and moral choices over their lifetimes by instilling in them the values of the Scout Oath and Law. The Boy Scouts of America will prepare every eligible youth in America to become a responsible, participating citizen and leader who is guided by the Scout Oath and Law. The Council Office will be closed on Friday, April 19th in observation of Good Friday. 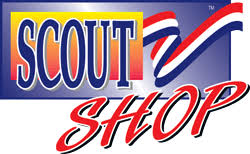 The River City Scout Shop will be open. Is your copy missing? Sign up today! Camp Winton, Camp Lassen, NorCal Adventure Area! You can not take the outing out of Scouting. The outdoor program is the feature about Scouting that appeals to boys, and a week at summer camp is a mountaintop, lakefront, and high adventure experience. Let us show you why the Golden Empire Council camps are the camps you want to experience.